This weekend the Kingman Historic Theatre will be showing Annabelle at 7:30 P.M. on Friday (Oct 17), Saturday (Oct 18) at 7:30 P.M. and Sunday (Oct 19) at 7:30 P.M. This is our first scary movie of October. 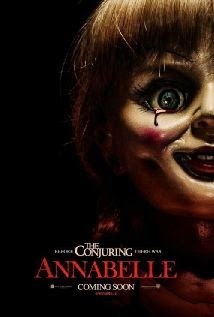 It is rated R and starsWard Horton, Annabelle Wallis and Alfre Woodard .